This month, Donald Trump announced the largely symbolic withdrawal from the Paris climate agreement, reaffirming his commitment to resurrecting the waning coal industry and accelerating the production of domestic fossil fuels. The reasons given for withdrawing were the imposition of “draconian financial and economic burdens”, higher energy costs, blocking the development of clean coal and building new coal plants, and leaving “millions and millions of families trapped in poverty and joblessness”. The Paris climate agreement is voluntary, with each country setting its own greenhouse gas (GHG) emissions reduction targets and policies. There are no enforcement mechanisms or penalties for not meeting declared targets, nor is there anything in the agreement that prohibits the building of coal plants, clean coal development or fossil fuel production, or adjusting country targets. The U.S. set its own non-binding GHG emissions reduction target in the Paris agreement at 21% to 28% below 2005 levels by 2025 (excluding LULUCF – land use, land use change, and forestry). 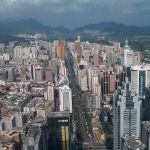 The building sector is now on track to meet the Paris reduction targets – reaching a 24.5% reduction below 2005 levels by 2025, and 30.4% by 2030. 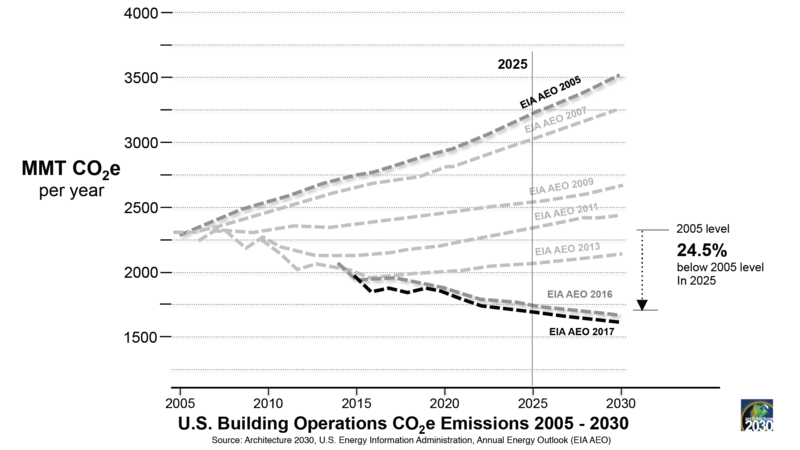 Specifically, U.S. building sector emissions are currently 16% below 2005. This is in stark contrast to projections from the U.S. Energy Information Administration (EIA) that were made in 2005. 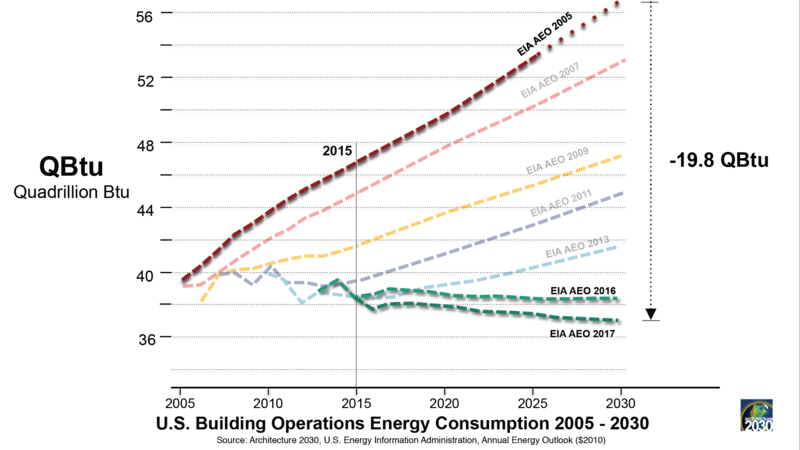 In that year, the EIA projected building energy consumption and GHG emissions in 2016 would rise 43.8% and 52.4% respectively above 2005 levels by 2030. 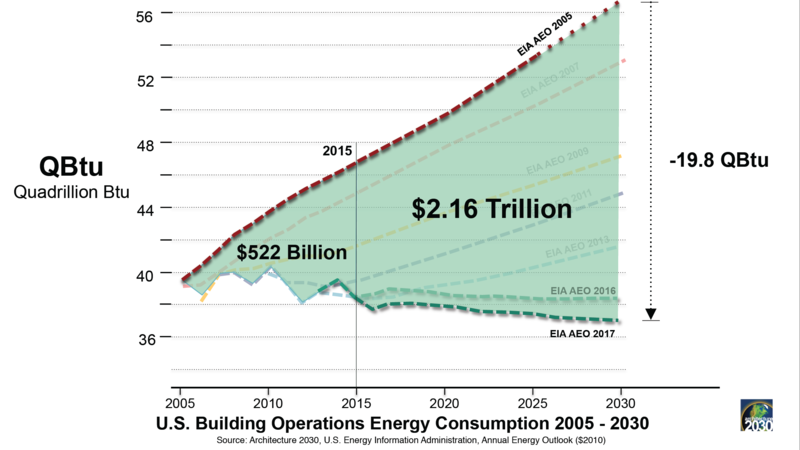 Since 2005, building sector energy consumption projections have declined each year; consumption levels are 5.1% below 2005 levels today, even though we have added about 30 billion square feet to our building stock over the past decade. Also, American businesses and households have saved over $500 billion in projected energy costs since 2005. That means more money is being distributed throughout the U.S. to create jobs and increase spending on clothing, food, education, travel, electronics, construction, equipment, and housing. 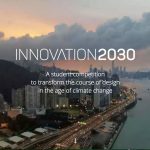 The additional savings to Americans will amount to over $2 trillion by 2030. 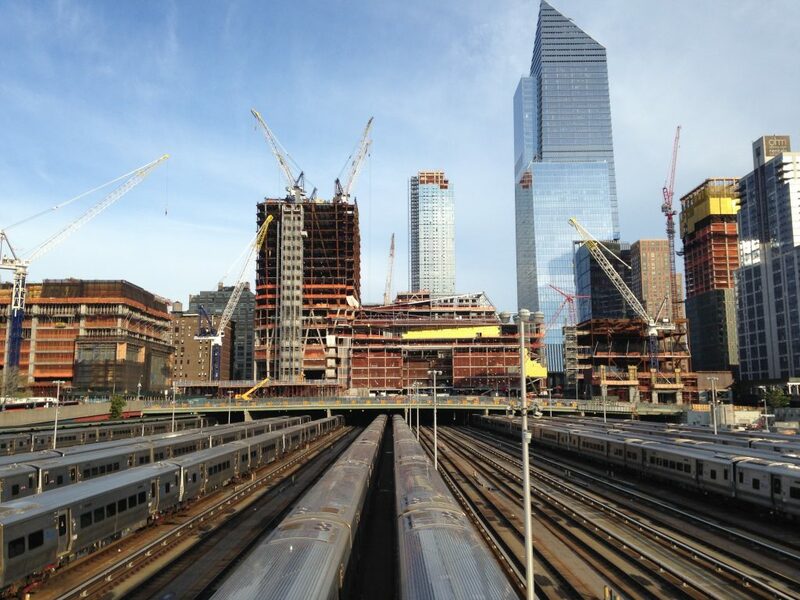 Practically speaking, the train has already left the station on GHG emissions reductions, and the building sector is leading the way. It is on track to meet our Paris 2025 target, with or without President Trump on board.